Rt Hon Chris Grayling MP makes a statement on rail. The transcript is available here. Luke Pollard (Lab, Plymouth Sutton and Devonport) secured a debate on rail links in the south west. The coverage is available here. The CMA is considering proposed fare controls to protect London-Exeter rail passengers following the award of the South Western franchise. Last week the Competition and Markets Authority’s (CMA) investigation into the award of the franchise to FirstGroup and MTR raised concerns because FirstGroup already operates the Great Western Railway (GWR) franchise, which runs the only other train service between London and Exeter. As the only operator running rail services between the 2 cities, the CMAfound that FirstGroup could potentially take advantage of the reduction in competition to increase fares for the half a million passengers a year who use the route. FirstGroup and its joint venture partner MTR were given the opportunity to avoid an in-depth (‘phase 2’) investigation by offering proposals (known as ‘undertakings in lieu of reference’) to the CMA to address the concerns identified. The companies have now offered to cap unregulated fares between London and Exeter on both South Western and GWR services by linking these to prices on a number of other comparable routes. They have also proposed to maintain the availability of cheaper advance fares on both services – again by comparing with similar routes. The CMA has decided that there are reasonable grounds for believing that these proposals, or a modified version of them, might be acceptable to remedy the competition concerns it has identified by protecting passengers using both London-Exeter rail services. The CMA has until 20 September 2017 to consider whether to accept the undertakings, although it may decide to extend this deadline to 15 November 2017 if it decides that there are special reasons for doing so. As part of its process, the CMA will now undertake a public consultation, which will commence shortly. Details on this consultation will be found on the case page along with full text of the decisions and all other information about the investigation. The CMA’s decision to consider the proposals comes in advance of the start of the franchise, due on 20 August 2017. I absolutely understand the importance of the task ahead of us. The report, which I have read carefully, shares my view that the No. 1 priority is the sea wall and the cliffs at Dawlish. My hon. Friend will also be aware that last Thursday I announced—this was also in today’s autumn statement—the provision of £10 million for the next stage of the project. I am committed, as is the Chancellor, to making sure that it happens. It is a strategically important project for our nation—we cannot have a situation where the south-west can be cut off via its principal railway routes—so I assure him that we will move ahead expeditiously with it. Additional £10 million to help strengthen the resilience of the railway line from Exeter to Newton Abbot via Dawlish confirmed. The government has today (17 November 2016) confirmed an additional £10 million to help strengthen the resilience of the railway line from Exeter to Newton Abbot via Dawlish. “Keeping the South West connected to the rest of the country by rail is vital to the economy of the region. Update on the programme of rail investment in the Great Western route. I wish to update the House on the programme of rail investment in the Great Western route and the steps we are taking to ensure this improves services to passengers while getting the best deal for taxpayers. We are continuing to invest £2.8 billion in this electrification programme to provide faster journeys, more services, and better stations while providing new or upgraded trains for passengers, with thousands more seats, and increasing capacity for freight. It will improve the experience on over 100 million rail journeys each year, stimulating economic growth from London through the Thames Valley, to the Cotswolds, West Country and to South Wales. It is a project unprecedented in scale that is building on and around ageing assets in constant use. This is an ambitious and challenging undertaking, but real progress is being made in delivering it. Projects completed successfully this year include the digital upgrade of large sections of signalling to improve reliability, the modification of over 100 bridges and structures, flood alleviation work, significant improvements to the resilience of the Oxford route and the introduction of the first Great Western electric services between Hayes & Harlington to Paddington which run between some of the busiest peak services in the country. Works on the Severn Tunnel this autumn made vital preparation for electrification between London and South Wales. Other enabling works include the progression of electrification towards the west, further re-signalling in Bristol, Cardiff and Cornwall, improvements at Bristol Temple Meads Station, enabling works at stations throughout the route, provision of better access for disabled passengers at selected stations, and enhancements to depots from West Ealing in the east to Penzance in the west. We have been clear that there have been difficulties with this programme. These were set out last year in the review of Network Rail’s delivery plan by Sir Peter Hendy. Following the re-planning of work that followed this review, the programme has been placed on a more efficient footing. A key part of this is the ongoing assessment of investment decisions so that passengers and taxpayers get maximum value. This is because we can bring in the benefits expected by passengers – newer trains with more capacity – without requiring costly and disruptive electrification works. This will provide between £146 million to £165 million in this spending period, to be focused on improvements that will deliver additional benefits to passengers. We remain committed to modernising the Great Western mainline and ensuring that passenger benefits are achieved. This decision underscores the government’s approach to wider rail investment; that passenger outcomes must be delivered in conjunction with achieving the best value from every pound spent. “If money needs to be spent, it will be spent; if resources are required we will provide them”. Now, we learn that Network Rail cannot even afford to fund a report on improving the south-west’s rail lines, putting millions of pounds of investment at risk. Yesterday, the Prime Minister could not say where that money would come from. I want to give the rail Minister a chance. Will she honour her right hon. Friend’s commitment and fund that study? Claire Perry: I pay tribute to my hon. Friend the Member for Torbay (Kevin Foster), who raised this question with the Prime Minister. The hon. Lady really needs to sort out her facts. The Government spent £35 million on the Dawlish repair and opened the line in record time. We are spending over £400 million on transport investment in the south-west, unlike her party, which wanted to can two major roads. I am looking carefully—[Interruption.] Perhaps she would like to listen, rather than chunter. I am looking carefully at how we can fund this very small amount of money without in any way inhibiting the overall report that we are looking forward to seeing from this very important organisation in April. Mr Ben Bradshaw (Exeter) (Lab): What additional investment the Government plan to make in rail infrastructure in the south-west during this Parliament; and if he will make a statement. The Parliamentary Under-Secretary of State for Transport (Claire Perry): I am sure that the right hon. Gentleman, as a fellow south-western MP, will be pleased that the Government have committed to investing about £400 million in rail infrastructure in the south-west. This includes re-signalling the main line from Totnes to Penzance; developing a strategic freight network; electrifying the Great Western main line; refurbishing the Cornwall sleeper; £35 million for the necessary repairs at Dawlish; a brand-new station at Newcourt, just outside his constituency; another station planned in his constituency at Marsh Barton; plus 29 new AT300 trains. 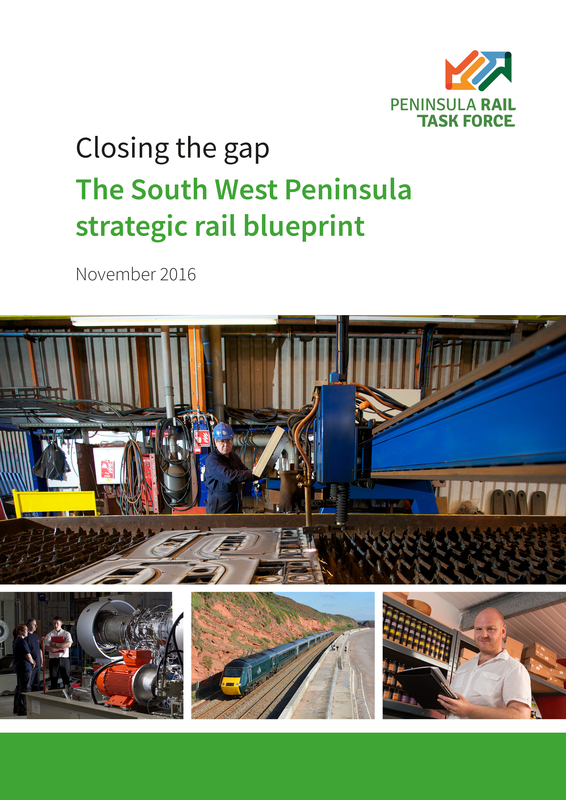 The Government get the importance of rail investment in the south-west. Mr Bradshaw: Of course, that electrification is into south Wales, not the south-west. The people of the west country well remember the repeated promises from the Transport Secretary, the Prime Minister and the Chancellor of billions of pounds of investment in rail in the south-west, but the Minister has just failed, once again, to confirm that the Government will commit a paltry half a million pounds for the feasibility study that Devon and Cornwall needs after the Dawlish disaster into improved resilience and rail transport times. Do not the people of the south-west rightly feel completely betrayed by the Government? Claire Perry: Month after month, the right hon. Gentleman comes here and seems to be in complete denial about the fact that his Government did nothing for the people of the south-west and that his party wanted to cancel the vital A358 road scheme that helps people directly in his constituency. I have already set out—but I am happy to discuss it further—that I am considering ways to find the very small amount of money required to do this one technical feasibility study, which is a tiny part of the south-west peninsula taskforce study. We expect that report to come out in April and deliver the strategic uplift the region requires. Oliver Colvile (Plymouth, Sutton and Devonport) (Con): To help my hon. Friend, would she be willing to meet me and fellow colleagues in the south-west to ensure that Network Rail and the taskforce have enough funding for the two studies into the electrification of the line through the peninsula and the reduction in journey times? Claire Perry: I am always happy to meet my hon. Friend, but let me gently remind him that Network Rail has already spent almost £3.5 million supporting the analysis of the resilience groups and the vital geological survey of the sea cliffs along the area. This work will be done, the Government will listen and this Government, unlike that lot on the Opposition Benches, will invest in the south-west. Kevin Foster (Torbay) (Con): As my right hon. 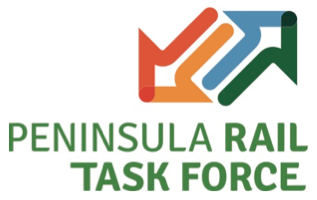 Friend knows, the peninsula rail taskforce is set to deliver its report on a resilient railway to Devon and Cornwall. Would he be willing to meet me and a number of colleagues to ensure that Network Rail and the taskforce have enough funding for the two studies into the electrification of the line and the necessary reduction of journey times? The Prime Minister: I had an excellent meeting with the south-west peninsula rail taskforce, which has been working closely with the Government. I will make sure that we continue to liaise closely with it. Clearly, we need to find an answer and we need to find the funding to make it work. We cannot allow to happen what happened in the past when a problem on our railways led to the peninsula being cut off. We cannot see that happen again.